Happy Wednesday, friends! Today I'm wrapping up our Spring Break road trip and it was such great day! And we got to check out the rest of the restaurant after we ordered. It's seriously so cool! The food was SO GOOD! If you go for breakfast you HAVE to get the bacon. Unreal! We picked out a few baked goods for the car and got in the car to head to Natural Bridge Animal Park. We gave the kids a few choices of things they wanted to do on this day and this was the top pick for all of them. (Other choices included the Do-seum in San Antonio, Natural Bridge Cavern Tour and the Children's Museum in Austin). It's a HUGE park that you drive through and get to see a variety of animals - some of which even make their way over to your car window to eat the food you get when you drive in. Y'all. I almost lost my MIND! The kids thought this was the greatest thing EVER and I was convinced someone was going to get their finger bit off my a longhorn. I wasn't going to post all of these pictures but they are CRACKING ME UP and now I can't resist. STAAAAHHHHPPPPP!!!!! It would stick it's tongue out and Mason would put individual pellets on it's tongue. There was slobber ALL OVER the car and I was convinced we were going to get gored. It was terrifying and hilarious. These guys came up to our car and as the boys were feeding them one turned it's head and ALMOST took out Luke's eye and smacked Mason on the side of the head! Going about 0.2 miles per hour and loving life! We spent a couple of hours looking at all the animals and then drove to Gruene which I'm convinced is the CUTEST town in Texas. We put our name on the list at The Gristmill and then hit up a local antique store to poke around while we waited. The kids LOVED it - there was so much to see and explore and Dave and I had a great time showing and explaining and exploring with them. We hit the wooden dough bowl jackpot but I couldn't think of where I would put one! The kids each picked out 10 old mardi gras coins (they thought it was pirate treasure) and then we headed back to the Gristmill for a SUPER late lunch. The Gristmill may be my favorite restaurant of all time. It is unique and beautiful and literally sits out over the river. It's seriously amazing. The exposed brick, beams, brick paths, huge trees - it's all my favorite. That huge chalkboard to the left is where they write the names of whose table is ready and they have a great outdoor waiting area. Everything there is gorgeous. The building and grounds are so impressive and we had a great time checking it all out. The Riverwalk at Christmas is my favorite!! You guys were at The Gristmill probably at the perfect time. When we ate there years ago it was the middle of summer and hot!! This trip looked like so much fun! Oh BOO! Girls road trip this Fall! The DoSeum is awesome!!! My kids loved it. We heard great things about it but when we had to make cuts we decided to leave that for a trip where the weather might not be so perfect and take advantage of the awesome weather we had and do the more outdoor (zoo, etc) things this time. I'm so glad to hear it's great though and we can't wait to check it out! You guys packed in SO MUCH FUN!!! I love, love, love all of the pics! I definitely want to plan a trip to San Antonio soon! I mean - it doesn't get much better than that! What a fun trip!! I loved the pictures from this day! What a blast! YAY! I'm so glad you found it helpful - we can't wait to go back! So much fun! Your pictures are wonderful! Thank you so much for sharing. A Texas roadtrip is on my want to do list and I'm noting all your suggestions. Thank you! They're a TON of work and my kids ask to watch them daily so they're worth it but I love hearing that other people enjoy watching them too! I have enjoyed your videos so much. Are you doing that with your phone or a go-pro? Thank you!!! Videos before this trip I used my iPhone to make and this trip I used my Canon Rebel EL2. I use iMovie on my iMac to put the movies together once we get home. Andrea you totally inspired me to add Texas to my bucket list of travel! I added everything you suggested to my Pinterest board! I especially love the Willie Nelson sign... my dads favorite!! Thank you!! Looks like a great day! I love Mi Terra. It was so busy when we went that I couldn't really explore the whole place so I love seeing your pictures. That zoo looks amazing! Hilarious pictures. What fun! you need to take your boys!!! YAY! I'm so glad you enjoy the posts! Travel can be intimidating and a little overwhelming sometimes (or maybe that's just me!) and I love reading tips and tricks and do's and don'ts from others so I try to do the same. This!!! Thanks for taking the tie. I re-read your Vail posts each summer! ^exactly!!! Your husband seems so easy going and willing to do whatever makes you and/or the kids happy. Dave does NOT like to plan trips so the trade off is that he goes with the flow :) hahaha Also - Dave is just super laid back and game for whatever and if we're happy, he's happy! What a fun trip! There is so much to see and do in our great state of TX! I enjoy your trip recaps! 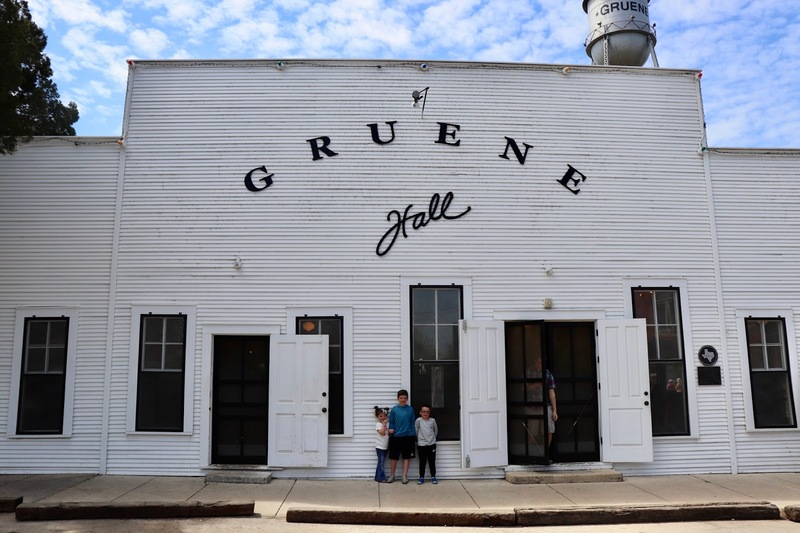 We visited San Antonio last April and went to Gruene and at at the Gristmill! Loved it so much! These posts make me miss living in the Austin area. True story, i cannot eat at Gristmill. The one time i did it was during cricket mating season. They sat us by a tree and crickets kept jumping in our table and in our food. Y'all just had the best time! So glad y'all made it by the Gristmill...we go every year when we take the kids to camp. 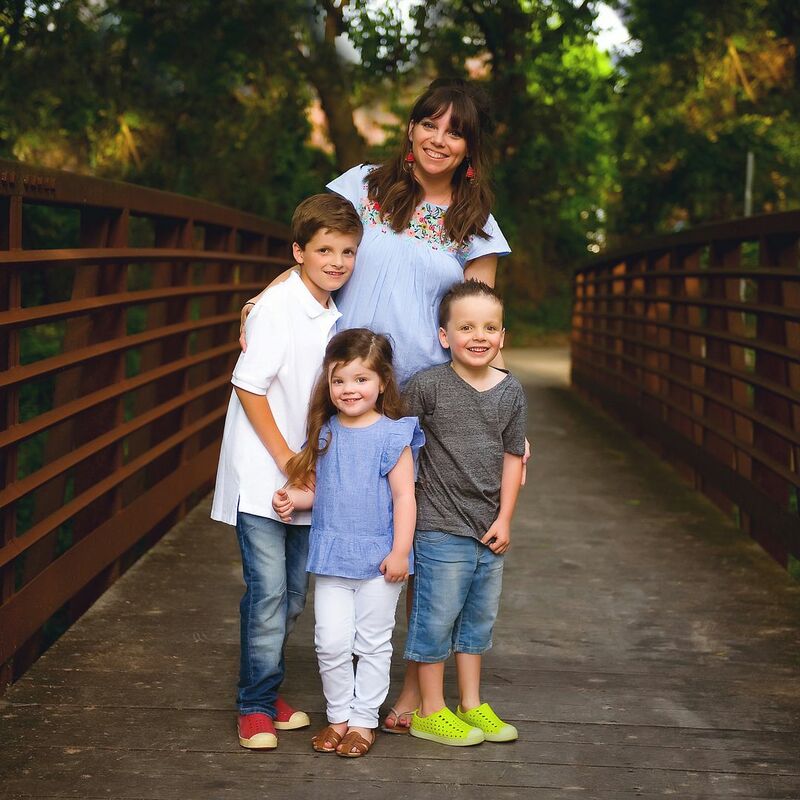 The safari drive through has certainly brought our family so many memories and we love teasing my oldest son about diving over the seat when the ostrich would come near!